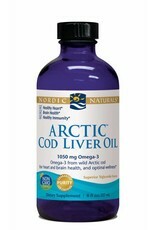 Nordic Naturals Arctic Cod Liver Oil 1050 mg 8 oz. 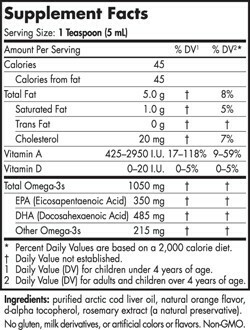 Home / Nordic Naturals Arctic Cod Liver Oil 1050 mg 8 oz. 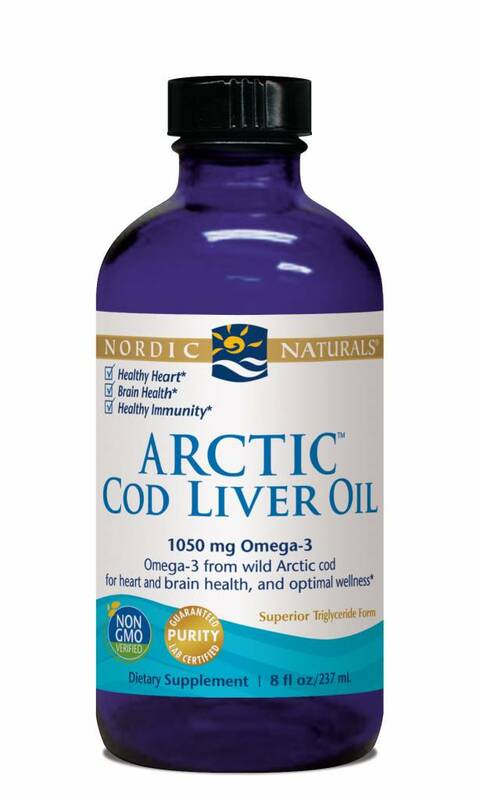 Our classic Arctic Cold Liver Oil™ has always been derived from 100% wild Arctic cod-no other fish oils or synthetic additives are ever used. 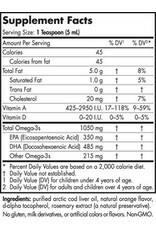 Unlike fermented oils, our cod liver oils are manufactured to eliminate free fatty acids and prevent rancidity. They support the heart, brain, and nervous system, and promote optimal immune system function. Suggested Use: One teaspoon daily, with food, or as directed by your health care professional pharmacist. Do not take if tamper-evident seal is broken or missing. Refrigerate after opening. Best if used within 3 months after opening.